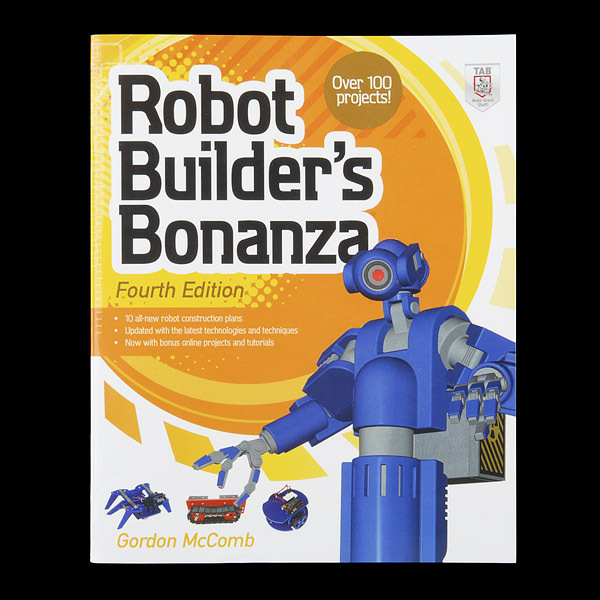 Have fun while learning how to design, construct, and use small robots! 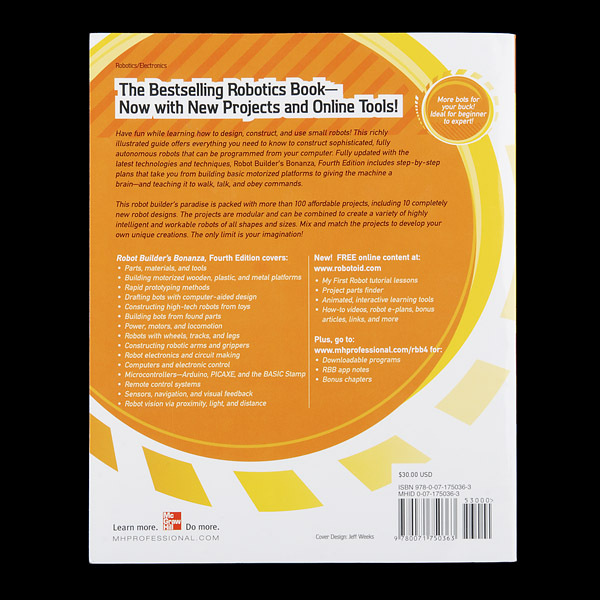 This richly illustrated guide offers everything you need to know to construct sophisticated, fully autonomous robots that can be programmed from your computer. 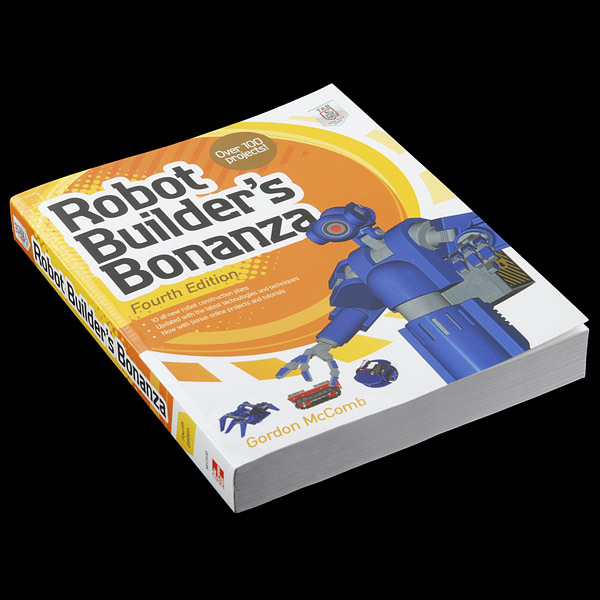 Fully updated with the latest technologies and techniques, Robot Builder's Bonanza, Fourth Edition includes step-by-step plans that take you from building basic motorized platforms to giving the machine a brain--and teaching it to walk, talk, and obey commands. This robot builder's paradise is packed with more than 100 affordable projects, including 10 completely new robot designs. The projects are modular and can be combined to create a variety of highly intelligent and workable robots of all shapes and sizes. Mix and match the projects to develop your own unique creations. The only limit is your imagination! 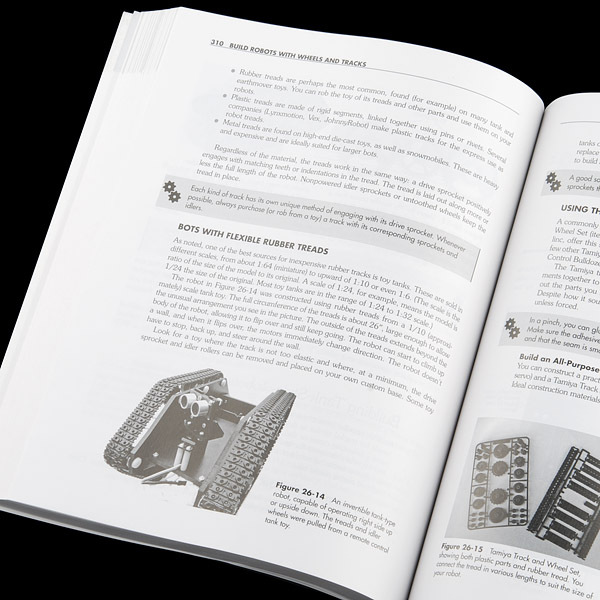 This book is absolutely amazing, it teachs you everything from which adhesives to use to how to use a 74595 Shift register to audio amp circuits and everything between. Shouldn't you at least mention the author, Gordon McComb, in the description? Many people buy this book simply because he is the one that wrote it. A very highly recommended book for all skill levels. I have all 4 editions and its really nice to see through every edition it's updated to the current and most recent (upon writing) technologies.